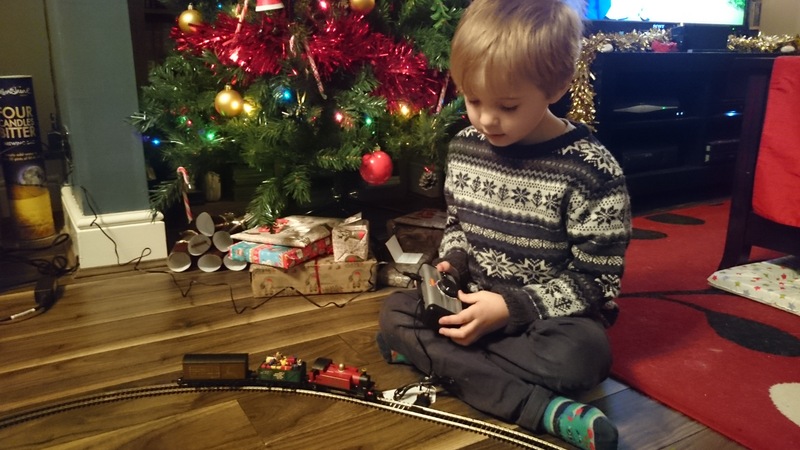 Train sets and five year olds go hand in hand, so when we were offered the Hornby Santa’s Express set to have a go with, I knew Joe would love it. To me, Hornby make ‘proper’ train sets – think of a huge table up in the attic covered in track, with little model stations and tiny plastic trees, while perfect replica steam trains potter around with their carriages. There’s something so classic about them. With this in mind, the Santa’s Express set doesn’t disappoint. It’s a wonderful traditional toy which would make the perfect festive centrepiece whizzing around the base of your Christmas tree or on a big dining table. Included in the box is a large paper base mat, printed with track templates and a landscape scene which provides a great start for increasing your Hornby collection. You also get enough track to make a 1600mm by 1180mm oval circuit, the power pack and control unit, and of course the Santa’s Express train itself. 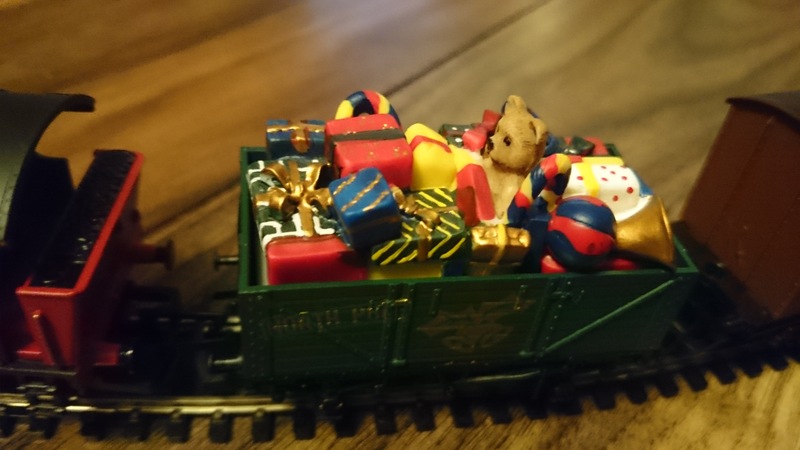 The train is a beautifully made red steam engine, a carriage bursting with presents, and an enclosed carriage for transporting Santa’s reindeer. The whole thing is quite intricate and actually a little fiddly to put together, so adult supervision is definitely required, but this is the sort of special thing that should be enjoyed as a family anyway. 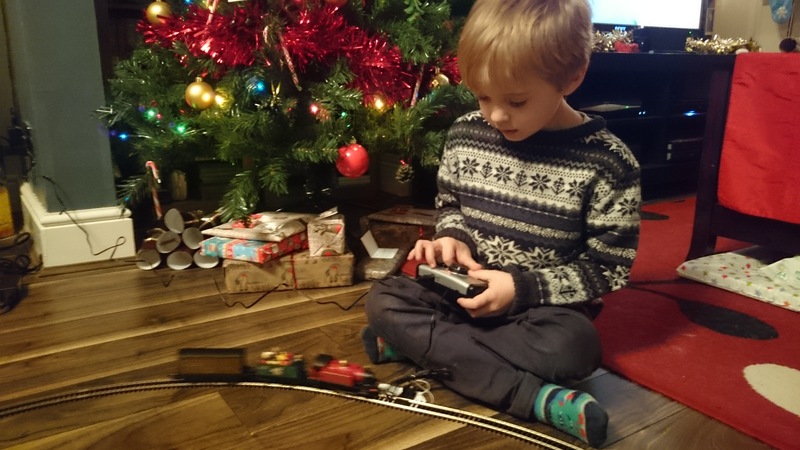 Joe loved turning the knob and watching the train speed around the track – you can flip a switch to make it go backwards too. 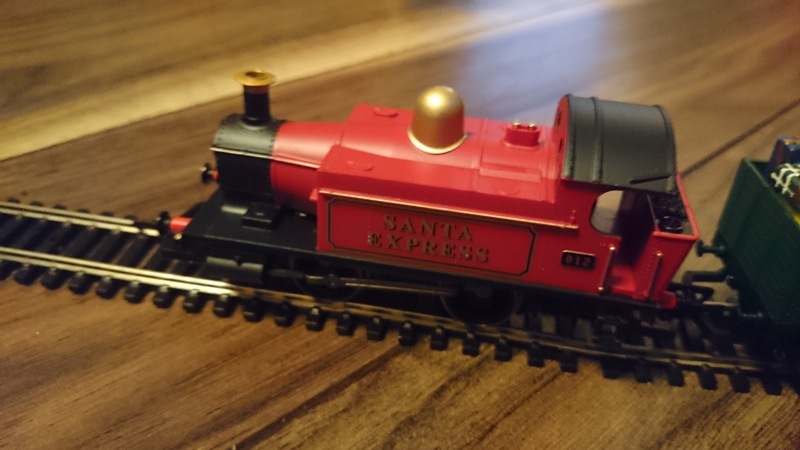 The Santa’s Express would be a great introduction to model trains for an older child as a good starter set which could easily be added to, provided you have the room to really make the most of it! 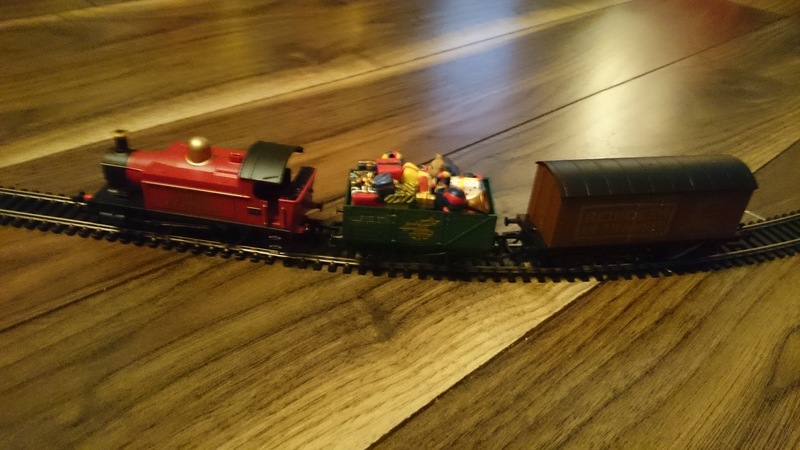 The Hornby Santa’s Express is available from all good toy retailers priced £69.99. 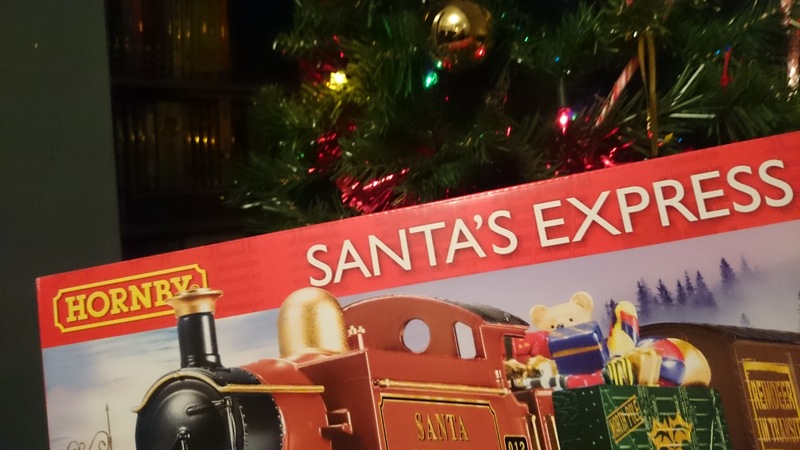 I was sent a Hornby Santa’s Express set free of charge for the purpose of this review. What a gorgeous train set, I love the detail in the present truck. What a great introduction to a classic toy range. It is lovely. Probably too nice for a five year old to get their hands on!